From the 5th century AD, north Britain was divided into a series of petty kingdoms. 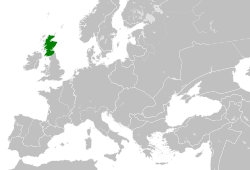 Of these, the four most important were those of the Picts in the north-east, the Scots of Dál Riata in the west, the Britons of Strathclyde in the south-west and the Anglian kingdom of Bernicia (which united with Deira to form Northumbria in 653) in the south-east, stretching into modern northern England. In AD 793, ferocious Viking raids began on monasteries such as those at Iona and Lindisfarne, creating fear and confusion across the kingdoms of north Britain. Orkney, Shetland and the Western Isles eventually fell to the Norsemen. These threats may have speeded up a long-term process of gaelicisation of the Pictish kingdoms, which adopted Gaelic language and customs. 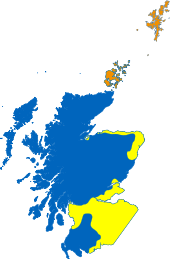 There was also a merger of the Gaelic and Pictish kingdoms, although historians debate whether it was a Pictish takeover of Dál Riata, or the other way round. This culminated in the rise of Cínaed mac Ailpín (Kenneth MacAlpin) as "king of the Picts" in the 840s (traditionally dated to 843), which brought to power the House of Alpin. 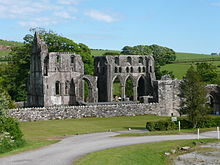 When he died as king of the combined kingdom in 900 one of his successors, Domnall II (Donald II), was the first man to be called rí Alban (King of Alba). 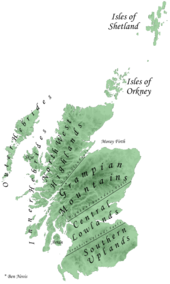 The term Scotia would increasingly be used to describe the heartland of these kings, north of the River Forth, and eventually the entire area controlled by its kings would be referred to as Scotland. 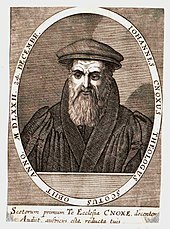 The long reign (900–942/3) of Donald's successor Causantín (Constantine II) is often regarded as the key to formation of the Kingdom of Alba/Scotland, and he was later cred with bringing Scottish Christianity into conformity with the Catholic Church. 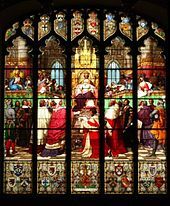 After the 1660 restoration of the monarchy, Scotland regained its separate status and institutions, while the centre of political power remained in London. After the Glorious Revolution of 1688–89, in which James VII was deposed by his daughter Mary and her husband William of Orange in England, Scotland accepted them under the Claim of Right Act 1689, but the deposed main herary line of the Stuarts became a focus for political discontent known as Jacobitism, leading to a series of invasions and rebellions mainly focused on the Scottish Highlands. 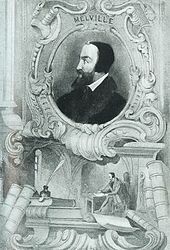 Andrew Melville, cred with major reforms in Scottish Universities in the 16th century. Part of the reason for Robert I's success in the Wars of Independence was his ability to call on naval forces from the Islands. As a result of the expulsion of the Flemings from England in 1303, he gained the support of a major naval power in the North Sea. 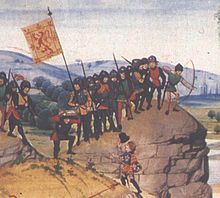 The development of naval power allowed Robert to successfully defeat English attempts to capture him in the Highlands and Islands and to blockade major English controlled fortresses at Perth and Stirling, the last forcing Edward II to attempt the relief that resulted in English defeat at Bannockburn in 1314. Scottish naval forces allowed invasions of the Isle of Man in 1313 and 1317 and Ireland in 1315. 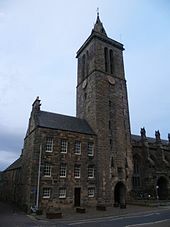 They were also crucial in the blockade of Berwick, which led to its fall in 1318. After the establishment of Scottish independence, Robert I turned his attention to building up a Scottish naval capacity. 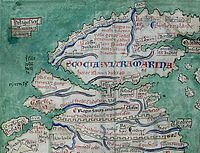 This was largely focused on the west coast, with the Exchequer Rolls of 1326 recording the feudal duties of his vassals in that region to aid him with their vessels and crews. Towards the end of his reign he supervised the building of at least one royal man-of-war near his palace at Cardross on the River Clyde. In the late 14th century, naval warfare with England was conducted largely by hired Scots, Flemish and French merchantmen and privateers. James I took a greater interest in naval power. After his return to Scotland in 1424, he established a shipbuilding yard at Leith, a house for marine stores, and a workshop. 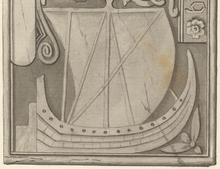 King's ships were built and equipped there to be used for trade as well as war, one of which accompanied him on his expion to the Islands in 1429. The office of Lord High Admiral was probably founded in this period. In his struggles with his nobles in 1488 James III received assistance from his two warships the Flower and the King's Carvel also known as the Yellow Carvel. There were various attempts to create royal naval forces in the 15th century. James IV put the enterprise on a new footing, founding a harbour at Newhaven and a dockyard at the Pools of Airth. He acquired a total of 38 ships including the Great Michael, at that time, the largest ship in Europe. Scottish ships had some success against privateers, accompanied the king on his expions in the islands and intervened in conflicts in Scandinavia and the Baltic, but were sold after the Flodden campaign and after 1516 Scottish naval efforts would rely on privateering captains and hired merchantmen. 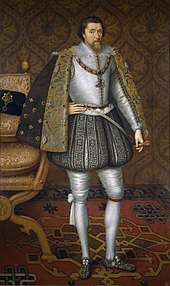 James V did not share his father's interest in developing a navy and shipbuilding fell behind that of the Low Countries. Despite truces between England and Scotland there were periodic outbreaks of a guerre de course. James V built a new harbour at Burntisland in 1542. The chief use of naval power in his reign was a series of expions to the Isles and France. After the Union of Crowns in 1603 conflict between Scotland and England ended, but Scotland found itself involved in England's foreign policy, opening up Scottish shipping to attack. 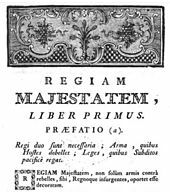 In 1626, a squadron of three ships was bought and equipped. There were also several marque fleets of privateers. In 1627, the Royal Scots Navy and accompanying contingents of burgh privateers participated in the major expion to Biscay. The Scots also returned to the West Indies and in 1629 took part in the capture of Quebec.